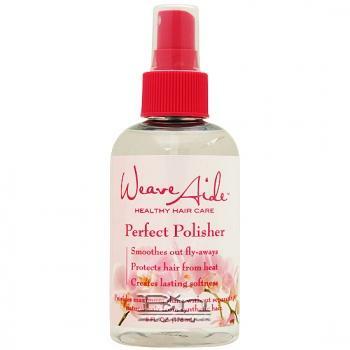 Swing It Weave Aide Healthy Hair Care Perfect Polisher Smoothes out fly-aways. Protects hair from heat. Greates lasting softness. Provides maximum shine without separating natural hair from synthetic hair. This incredible daily shine spray, smoothes out frizz without weighing down the hair. Reduces shedding, snarls and knots. Best of all it provides hair with a silky smooth, shiny finish. Directions: Spray lightly over entire head.